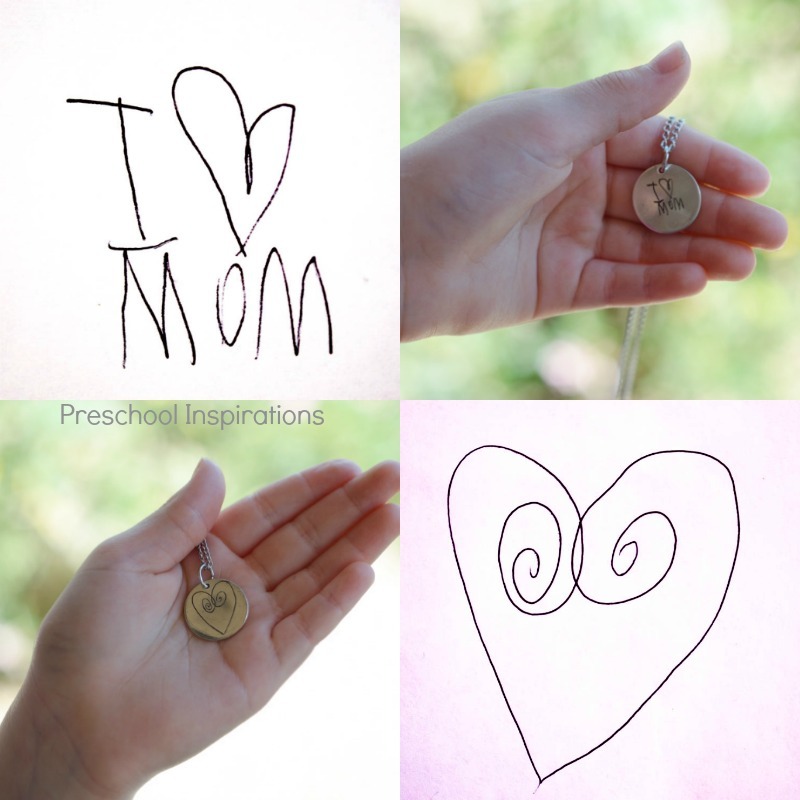 Turn children’s artwork or handwriting into a jewelry keepsake. 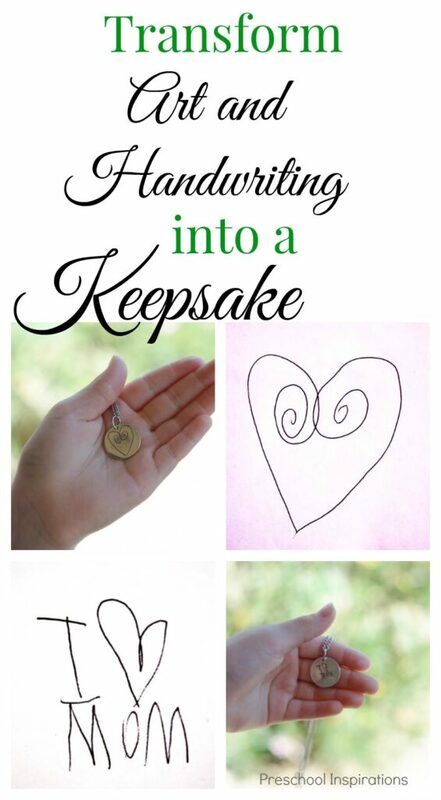 This has been on my wishlist for ages, and I can’t wait to show you my daughter’s picture and handwriting that is now transformed into a gorgeous necklace. Every time I throw away a piece of art from my children, I feel awful! But I can’t keep it all. My children love to draw and write — all three of them — and we would be buried alive with their beautiful artwork if we kept everything. 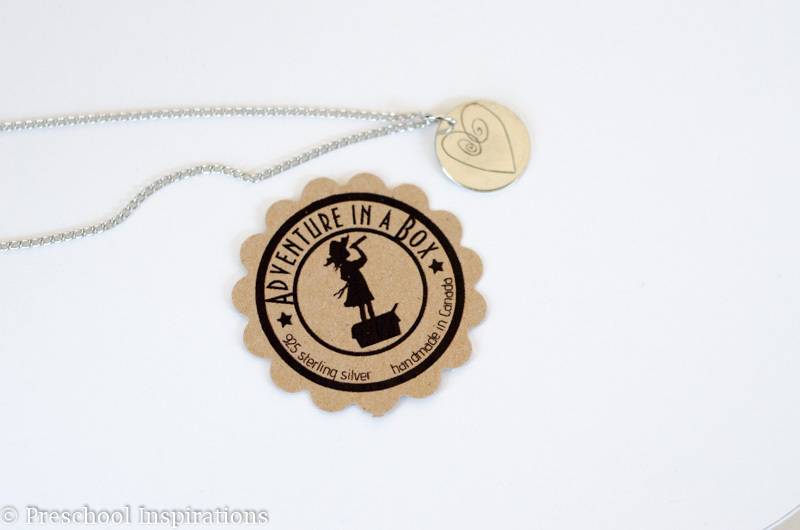 I’ve been wanting to turn some of their artwork into jewelry, and when my friend, Liska, of Adventure in a Box said she was going to start making jewelry with children’s artwork, I jumped at the chance to partner with her! I have wanted a gift like this for years, and despite dropping hint after hint to my sweet hubby, it’s just never happened. I decided that it would be so fun if this was a piece that both my daughter and I can use! And it’s perfect for that. One side has her sweet note to me, and the other is one of her favorite pictures to draw. 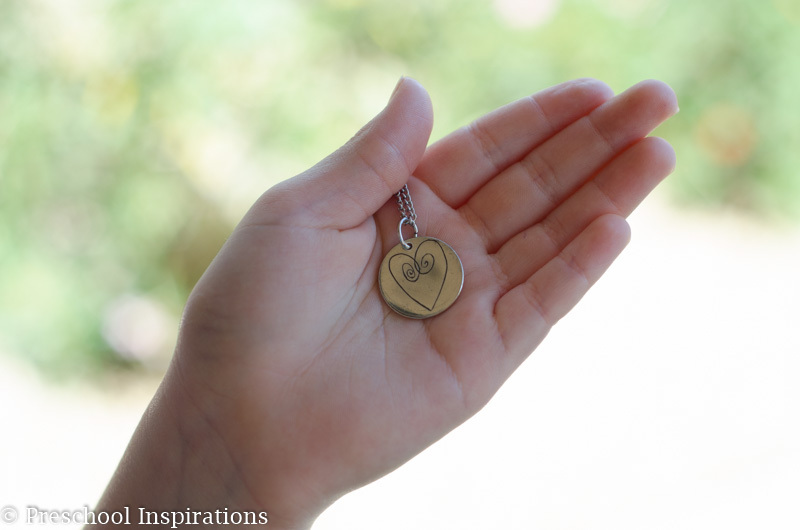 Personalized jewelry is one of my favorite gifts to give and receive. I love that we can just capture a piece of history and wear it! And it turned out absolutely stunning! 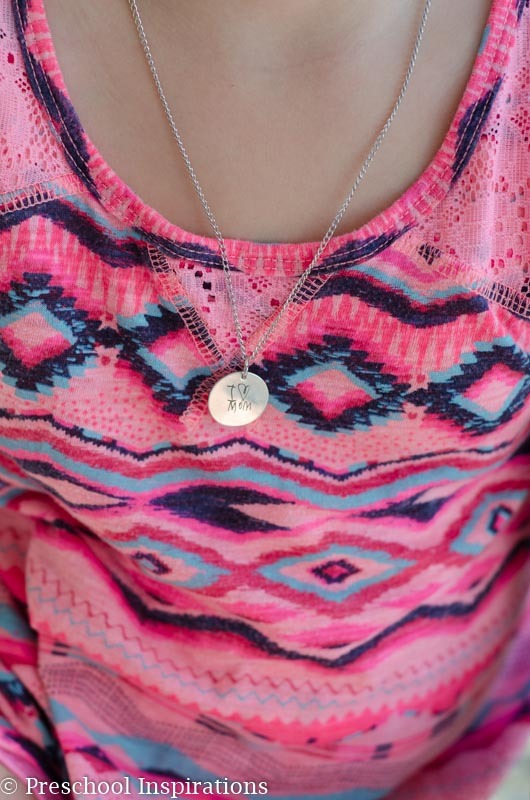 While it was so hard to choose which piece of art to put on the necklace, the rest was super easy! We sent a photo of my daughter’s artwork to Adventure in a Box, and they did the hard part. This package was one that I was looking for and stalked our mailbox until it arrived from Canada! This is my new favorite necklace and my daughter’s as well! I can’t wait to get some for our beloved grandmas too. This is absolutely the perfect gift for someone who you are looking to give an amazing surprise to. Perhaps the person who already has everything even. I know that we will cherish this for years to come! If you need other great gift ideas, I highly recommend taking a peek at the shadow puppets and wooden toys! I love that everything in the shop is handmade and created with quality materials.